FINALLY! A Democrat who gets it! 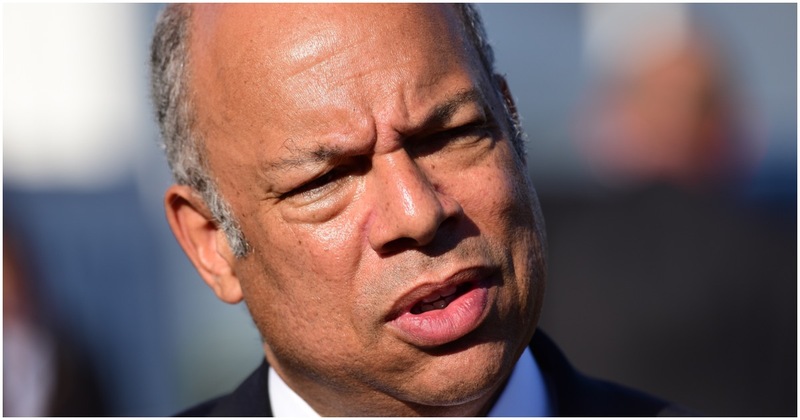 Jeh Johnson, secretary of the Department of Homeland Security in the Obama administration, isn’t exactly making new friends among his progressive peers. Jeh went on Fox News to let all Democrats in on a secret that Republicans have been shouting for quite some time. Might liberals finally open their eyes? Homeless Americans and people in poverty always take a back seat to illegal aliens in liberal circles. Taking care of their own should be priority number one, but that is certainly not the case. It is now being reported that over $300 million taxpayer dollars went to attorneys defending illegal aliens during Barack Obama’s eight years in office. Oh, and George Soros’s “Open Society” is part of it. The Obama administration spent more than $310 million in tax money to provide attorneys for unaccompanied illegal immigrant children, and all of it went to a single nonprofit with direct ties to Open Society Foundations. The Immigration Reform Law Institute reports the U.S. Department of Health and Human Services under Obama violated the Immigration and Nationality Act by awarding numerous contracts to the Vera Institute of Justice between 2015 and 2016 to provide “direct legal representation” for illegal immigrants. The Open Society Foundations is the non-profit arm of billionaire hedge fund manager George Soros, who devotes his vast wealth to eradicating national sovereignty in favor of a new world order. Border patrol agents were forced to use tear gas to fight back against the migrant caravan attempting to illegally enter the United States. The agents were pelted with rocks. As expected, the mainstream media lost its collective mind. How could Trump gas women and children!? The truth is the Obama administration used tear gas far more often. Where’s the coverage on that?